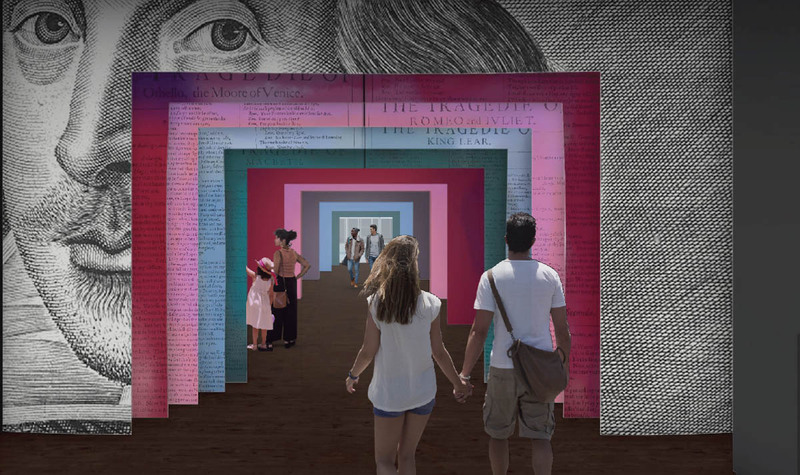 This $69 million project is supported by The Wonder of Will: The Campaign for the Folger Shakespeare Library. The Folger’s 1932 building, designed by architect Paul Cret, will be undergoing a major renovation beginning in early 2020 to expand public space, improve accessibility, and enhance the experience for all who come to the Folger. During the multi-year renovation, public access to the building will be restricted, but Folger programs and events will continue at other locations in Washington, DC, and around the country. The building renovation project will add a 12,000-square-foot public pavilion under the Folger’s front lawn with large, welcoming, and fully accessible entry plazas for all visitors on both the east- and west-facing sides of the building. The landscaped entry plazas will connect with open gardens on either side of the building, with paths and benches for visitors. When the building reopens to the public, there will be permanent and temporary exhibitions available year-round in two large exhibition halls featuring priceless works from the Folger collection. One will be focused on Shakespeare and the other—the Stuart and Mimi Rose Rare Book and Manuscript Exhibition Hall—on other works and items representative of the early modern world. The Great Hall will transform from an exhibition space to a public gathering place. The building renovation project will create new study rooms where researchers can consult more easily with curators or conservators. There will also be multi-purpose and flexible meeting spaces where researchers can collaborate or participate in seminars. 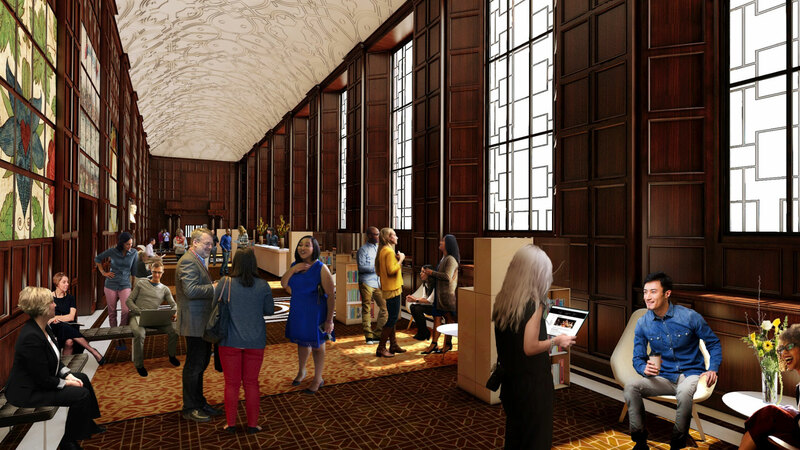 The historic Reading Room will have new, ergonomically designed furniture, as well as improvements to lighting and internet connectivity. A new Education Laboratory will provide a flexible space for hands-on demonstrations, interactive workshops, and lively discussions for learners of all ages. New exhibition galleries and more deeply engaging programs for students and teachers will enrich and support classroom work with Shakespeare's texts.